Most of us do not worry about our holiday health until we come down with something and then rush to the local pharmacy trying to explain the symptoms. Some forward planning can make this unnecessary since most common problems are easily preventable or treatable. I have put together some of the most common summer concerns that our customers contact me about, giving brief explanations and possible ways to prevent or treat them. When people travel abroad, especially to developing countries, their risk of becoming ill increases. Your holiday can be ruined by unsafe or contaminated food. Many places outside of Europe do not have the investment and regulation for water supply, refuse disposal and sewerage that we take for granted in the UK. Food poisoning on holiday is often cause by contaminated or tainted water, poor hygiene by food handlers, contamination of food by insects such as flies and wasps and numerous other possible causal factors. The normal treatment for food poisoning is prescribed antibiotics and whilst they perform their role of destroying the harmful bacteria, they are not without side effects and can disrupt the balance of the good bacteria in our gut. This does not mean that you should not take antibiotics when you have food poisoning, but you may be able to prevent this concern or certainly replace the good bacteria lost through antibiotic usage by using a good probiotic. I normally tend to recommend the use of a good probiotic such as Mega Probiotic ND by Food Science of Vermont, usually taken seven days before your holiday, whilst on holiday and for another week upon your return. Probiotics are live bacteria that confer a wide array of positive benefits to our bodies. Specifically from the food poisoning point, they may help to fight of disease-causing bacteria which commonly cause food poisoning. I also always take a supplement with me on my travels called Fast Balance GI, which contains a long chain compound called Mannon Oligosaccharides that help to prevent the adhesion of pathogenic bacteria that cause diarrhoea and normalise bowel movement, thereby calming the whole of the gastrointestinal route. This helps to prevent rushing out to the local pharmacy in case I get affected by a dodgy stomach. Prickly Heat, also known as miliaria or heat rash, is a skin condition that occurs in hot, humid weather conditions when small particles of sweat block the sweat glands causing a rash to appear on the body. The rash can develop anywhere on the body, but it most commonly occurs on the face, neck, back, chest and thighs. It is composed of tiny spots or bumps that are surrounded by an area of red inflamed and itchy skin. The trapped sweat causes localised irritation and the characteristic heat rash. Whilst prickly heat can also occur during the winter months in those that sweat excessively, there is a theory that it is the exposure of the skin to the sun, that in some, causes a photochemical reaction which releases compounds that can cause excessive sweating resulting in the blockage of the sweat glands and the characteristic rash. I have had positive feedback from the use of Stinging Nettles Root by Swanson for both the prevention and treatment of prickly heat. Nettle is commonly employed to provide relief of hay fever and other allergies because of its ability to inhibit the release of histamine which is responsible for the rash. Additionally, nettle extracts are powerful diuretics helping to eliminate the compounds that are responsible for the inflammation of the sweat glands. Topically, I would recommend the use of Organic Lemon Balm Cream by Granary Herbs which can be applied three or four times a day. Lemon Balm when applied topically helps to soothe itchy inflamed skin as well as being a good first aid cream useful for sores and cuts. In some studies, lemon balm cream helped to heal cold sore lesions quicker than conventional creams. Another useful product, which instantly cools, comforts and helps provide relief from itching is Physicool Rapid Relief Cooling Spray. 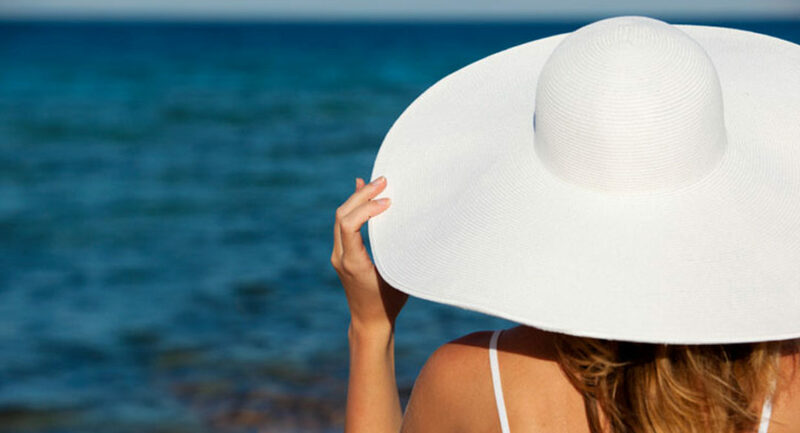 Since prickly heat is a photochemical reaction, I would recommend the use of a topical sun protection product with a high UVA/UVB protection such as Extreme Protect SPF 30 which not only provides high protection but is also free from oils and perfumes that may aggravate skin. One of the most annoying things on holidays is insect bites; there is no doubt that some people are more prone to insect bites than others but we do not fully understand why. Multiple studies indicate that taking vitamin B1 is a proven way to make you less prone to insect bites. Vitamin B1, also known as thiamine, is a very safe, non-toxic vitamin. This vitamin, when taken in large doses, apparently produces a skin odour that is not detectable by humans but is disagreeable by flying insects. It seems to be especially suitable for those with hypersensitive allergic individuals, and usually takes about two weeks to fully saturate the skin. I recommend taking Vitamin B1 500mg by Solgar Vitamins, take one tablet daily two weeks before your holidays and also during your holiday. There are many topical insect repellent products on the market but please ensure that you do not use one containing DEET. The chemical DEET (N,N diethyl –toluamide) is a highly effective insect repellent however there are some downsides to using products that contain it. Firstly, it smells bad. Secondly, it leaves an unpleasant oily residue on skin. Finally, it is certainly toxic if ingested but numerous studies suggest that it has a serious effect on our nervous system. When it comes to topical insect repellents, I prefer the natural route and always recommend Acqua D’Alfresco Anti-Bug Bite Spray, a sweet/spicy smelling fragrance spray containing extracts of geranium, lavender and Melissa in a blend of 22 essential oils and is suitable for even those with sensitive skin. For babies and children, use Acqua D’Alfresco Anti-Bug Bite Moisturizer. For those who do unfortunately get bitten, I would recommend the use of Organic Lemon Balm Creamwhich helps to soothe itchy and inflamed skin and may prevent infections due to its natural antimicrobial properties. Deep Vein Thrombosis (DVT) is a condition when a blood clot forms in one or more of the deeper veins in the body. The condition often affects the legs with swelling and leg pain being the most common features, however many people with DVT may not have any symptoms. The biggest concern with the formation of a blood clot in the deep veins is the risk that this clot may dislodge and shoot to the lungs. If the clot is big enough then this can be fatal. DVT’s form as a result on inactivity, whether on a long plane journey or even a long ride in the car. Whilst the probabilities of DVT’s forming on plane journeys are low, there are many other risk factors which include being overweight, smoking, high blood pressure and of course long periods of inactivity. It is for this reason that I always recommend moving around the cabin on a plane as soon as possible and as insurance to take a specific circulatory supplement called Diosmin Plus by Food Science of Vermont. Traditionally used for improving the symptoms of varicose veins and spider veins, Diosmin Plus contains a very specific combination herbal extract, called Diosmin 95, which has been shown to also help improve circulation in the lower limbs effectively. Diosmin Plus is not suitable for those on blood thinning medications. In addition, or perhaps for those who do not wish to take a supplement, there is a clever little gadget called Airogym Exerciser. Invented by an ex-British Airways long-haul captain, the Airogym Exerciser is a low cost, pocket-sized inflatable cushion which is very easy to use whilst being seated on a plane that has been shown to increase blood flow quickly and effectively. One of the most common problems faced by air travellers crossing different time zones is Jet Lag. It is characterized by a number of symptoms which can be severe or mild depending upon the length of the journey and include nausea, diarrhoea, depression, loss of appetite, fatigue and headaches. Most people find it difficult to sleep because their bodies are not synchronised to the current time zone. A remedy that I normally recommend is Asphalia For Sleep, a natural remedy containing wheatgrass which is rich in naturally occurring melatonin. Melatonin helps the body relax and encourages healthy sleep patterns. Regulating your sleep cycle to the timetable in your destination is always a good idea because it will then allow your body to adjust quickly to both sleeping and waking up at the correct time in your destination. Believe it or not, travel sickness affects between 60% and 70% of the world’s population at one time or another whether it is on a plane, in a car, on a boat or ship. It is an awful feeling and symptoms include nausea, vomiting and dizziness. Travel sickness is thought to be induced as a result of conflicting messages sent to a very specific region in the brain from the visual, gastrointestinal and inner ear nerves with the resulting side effects. Avoid eating high fat or highly acidic foods before travelling, particularly if you are prone to travel sickness. Eat neutral foods such as yoghurt, crackers, breads and cereals a few hours before flying. Strong smells such as perfumes have an impact on travel sickness making it worse. Avoid reading whilst travelling because this takes your vision away from your location and can interfere with your balance and possibly cause nausea. Ginger is a traditional herbal remedy that has been used for travel sickness and has recently passed scientific scrutiny. Experiments have shown that ginger capsules were more effective than an over-the-counter medicine in preventing travel sickness. The researchers concluded that ginger absorbs acids and blocks nausea in the gastrointestinal tract. The supplement I recommend is Ginger Capsules by Lamberts and take one capsule daily three or four days before your journey. The plantar fascia is a broad ligament-like structure that extends from the heel bone to the base of the toes, acting like a thick rubber band on the bottom arch of the foot. It plays an important part in the way the foot is designed to operate whilst walking or running. Plantar fasciitis is inflammation of the plantar fascia when the ligament suffers from microscopic tears due either to poor biomechanics, overutilization or being overweight. For the more adventurous ones who like to go on long walks or mountain climbing, plantar fasciitis is a real problem and the pain can be very excruciating. The pain of plantar fasciitis can also be triggered by excessive barefoot walking or walking without proper protection for the arch especially during the summer months due to excessive wearing of flip-flops. Old or worn-out sneakers are the biggest wrongdoers for this concern. For the alleviation of the pain of Plantar Fasciitis, or for that matter any joint or muscle pain, I would recommend the use of Pure Magnesium Oil Original Spray by Lifeflo. Magnesium helps to relax muscles and nerves and when applied topically works to almost instantly relieve pain. The magnesium from the spray is also absorbed transdermally through the skin into the bloodstream where it also works from within the body. There is one product which I would recommend packing into the suitcase or handbag even if all the above concerns do not affect you – Sheald Recovery Balm. This powerful reparative cream helps to heal, protect, soothe and nourish skin. It can be used to heal cuts, grazes, wounds, calm inflamed skin concerns such as prickly heat and rosacea as well as helping to reduce itching and general dryness. So enjoy your summer vacation by being conscious of a few simple things you can do to help yourself and your family and don’t forget to drink enough water and eat the right foods to meet your body’s summer-time needs.